Chocolate Graham Cracker. Lemon Coconut. Peanut Butter and Jelly. These are just a few of the imaginative flavors you’ll find at Trophy, where cupcakes are a work of art, as delicious as they are beautiful. 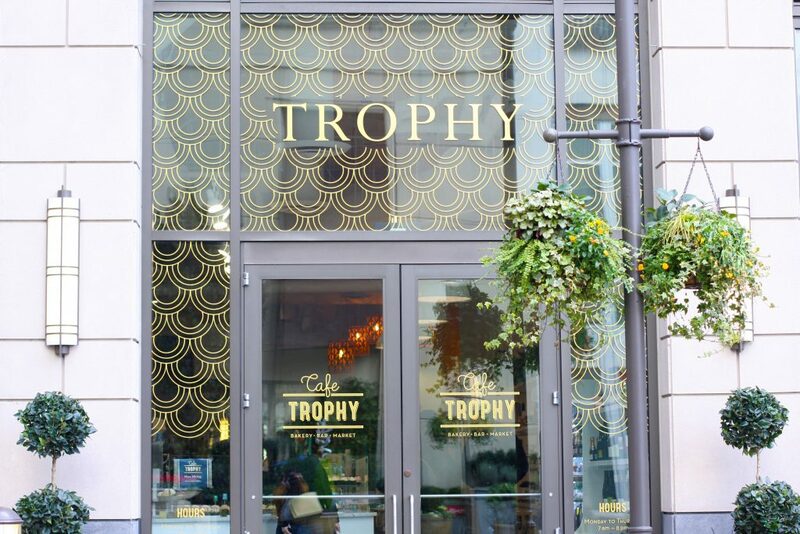 Baked fresh every morning, Café Trophy and Trophy Cupcakes are handcrafted with the finest quality ingredients. Having a celebration? Make it unique with custom cupcakes designed exclusively for you. Then find everything else you need to make your party special, including cards, vintage curiosities and imported paper decorations. SEATTLE, April 25, 2017 — Jennifer Shea is excited to showcase local artist Jennifer Ament’s work in Cafe Trophy, at The Bravern. The cafe, with its natural light and big white walls, is the perfect place to spotlight great local art, and Shea is excited to kick off a new tradition with Ament. The show is up now, and will be celebrated officially with a party on June 10. Shea has always been a fan of Ament’s work, but when she saw her large-format encaustic pieces, she was blown away—she knew they would be perfect in Cafe Trophy. The opening reception is on Saturday, June 10 from 6pm to 8pm at Cafe Trophy. There will be champagne and treats, and RSVPs are much appreciated, please contact [email protected] to attend. To learn more about Jennifer Ament, visit www.jenniferament.com.